We work directly with missionaries and other people who have personal contact with populations in need of clean water. We train those going abroad in how to use water purification units, and then provide units for them to give to needy people as they see fit. ​ Our goal is to make the most efficient use out of every dollar donated. 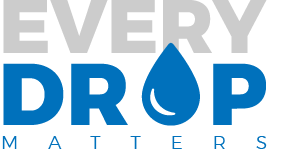 At Every Drop Matters, we've partnered with the professionals at EP Purification to make this technology more available to people who need clean drinking water. EP Purification is the creator and manufacturer of this world-changing technology, and we've partnered with them to become the non-profit arm of their company. Through us, you can donate to the cause to make more of these amazing little units available to missionaries, organizations and others who have direct access to those in need of clean drinking water. ​Your dollars and support go directly into the purification units. Then we act as the distribution network to get the units into the hands of the people serving all over the world on the ground. Our goal is to get the best technology into the hands of people serving right now who can make an immediate impact.